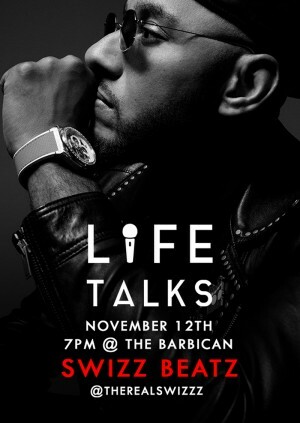 Due to popular demand we are back with another exclusive @lifetalksuk, this time with hip hop legend @therealswizzz come hear about his epic journey and his new album POISON released today interviewed by none other than @twintings! Opening the night we have an amazing A list panel that will be announced throughout the week. Only 150 seats available, buy your tickets now for an inspirational night! Please read schedule of the night and terms & conditions here before purchase. To ensure tickets are delivered safely and securely and to keep the price as low as possible for you, the ticket buyer, utickets generally uses our E-ticket system unless otherwise stated. When you purchase tickets through utickets, the full face value of the ticket is shown. This price is the price set by the event promoter and we pay this full amount to the promoter without any deductions.